Few matters provoke as much emotion in South Africa as the assassination of Chris Hani. It is now 20 years since convulsions of anger and grief shook the country as images of his bloodied corpse on his driveway were beamed across the world. It was a pivotal event that could have changed the course of history. These days, one of his killers, Clive Derby-Lewis, is making a renewed attempt for clemency, this time offering to meet Hani’s widow, Limpho, to apologise. But though Derby-Lewis escaped the gallows when his sentence was commuted life imprisonment, his is really a slow death sentence. He will never be forgiven for spilling the blood of Chris Hani. By RANJENI MUNUSAMY. 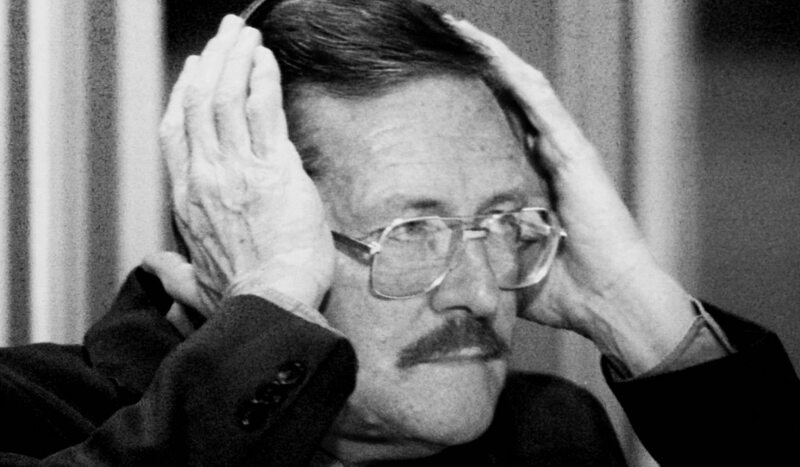 By their own admission, Januzs Walus and Clive Derby-Lewis had plotted Chris Hani’s assassination to propel whites into rebellion, and to destabilise the relationships built during the multi-party political negotiations in the early 1990s. If it were up to Walus, a Polish immigrant, and Derby-Lewis, a Conservative Party MP, democracy would never have dawned in South Africa. They obtained a list of 19 names and addresses from Derby-Lewis’s wife Gaye, a journalist, all possible targets to achieve their objectives. Among the names were Nelson Mandela, Joe Slovo, Steve Tshwete and Mac Maharaj. Hani, at the time the SACP general secretary and former chief of staff of the ANC’s armed wing Umkhonto we Sizwe, was at number three on the list. By early March 1993, Walus and Derby-Lewis decided that they would move him to number one. In the book Hani: A life too short, journalists Beauregard Tromp and Janet Heard wrote that Derby-Lewis gave Walus the gun on 6 April over breakfast, although it still required ammunition. Derby-Lewis said afterwards that their arrangement was still loose at this time, with no date fixed for the hit. Walus, however, set off from Pretoria on the morning of 10 April, Easter Saturday, bought ammunition in Johannesburg and then drove to Hani’s home in Boksburg. Hani was returning home when Walus pulled into the driveway behind him. “Seeing Mr Hani move away from the car, I did not want to shoot him in the back. I called to Mr Hani. When he turned I fired the first shot into his body. As he turned and fell down, I fired a second shot at his head,” Walus later confessed. Derby-Lewis and Walus were convicted and within six months sentenced to death for the assassination. Both appealed to the Supreme Court of Appeal against their convictions and sentences but their appeals were turned down in November 1995. However, the sentence was commuted to life imprisonment when capital punishment was outlawed in 1995. Derby-Lewis’ first bid for freedom began a year later, when he and Walus applied to the TRC for amnesty. He testified that the assassination was encouraged or sanctioned by senior leaders of the Conservative Party, of which he was a founder member. Derby-Lewis told the TRC that he was acting “in defence of my people, who were threatened with a Communist take-over”. whether or not Walus, in assassinating Hani, was acting on the orders or instructions of Derby-Lewis. In 2000, the Cape High Court dismissed an application by Derby-Lewis and Walus to overturn the TRC’s decision. Since then, Derby-Lewis has made several attempts to secure parole, all of which were vehemently opposed by the Hani family and the SACP, and all of which so far failed. In March 2009, a full bench of the North Gauteng High Court dismissed Derby-Lewis’ application. Derby-Lewis’ lawyers had argued that he qualified for parole because he was older than 65 and had been rehabilitated. In 2010 he applied for parole on the grounds that he was over 70, and was entitled to parole in terms of South African law for having served in excess of 15 years in prison. In 2011, he made an unsuccessful attempt for medical parole. Last year, he re-applied for medical parole on the basis that he had cancer, hypertension and gangrene. This week the medical advisory board decided not to grant permission for Derby-Lewis, now 77 years old, to be released early on medical grounds. But repeated failure seemingly does not discourage Derby-Lewis. His lawyer Marius Coertze told Eyewitness News on Tuesday that would re-apply for parole, as he has served almost 20 years behind bars. But Derby-Lewis is also pursuing a new avenue in a bid for freedom. Correctional Services Minister Sbu Ndebele has piloted a victim-offender dialogue as a way of rehabilitating convicted criminals and getting them to show remorse to those they harmed. The programme, launched late last year, is aimed at reducing overcrowding in prisons as reconciliation between the offenders and their victims could secure their earlier release. Derby-Lewis now sees this programme as a possible way out of his jail cell. Coertze told The New Age this week that Derby-Lewis wanted to meet with Hani’s wife, Limpho, to apologise for his role in the assassination of her husband. He said Derby-Lewis regretted his decision to provide the gun to Walus. “He is very sorry about the whole thing,” Coertze told the paper. But both Limpho Hani and the SACP have scoffed at Derby-Lewis’s latest gambit for early release. The widow said she was not willing to be part of “the circus” around Derby-Lewis. Even in interviews this week, ahead of the 20th anniversary of her husband’s murder, Limpho is still extremely emotional about her loss, weeping during an interview with the eNCA about the impact on her daughters. Her pain was further exacerbated when her daughter Nomakhwezi, who witnessed her father’s shooting, died from an asthma attack in 2001. Limpho said her children were still reluctant to talk about their father’s death and still could not deal with it. Ironically, in his application for parole before the North Gauteng High Court in 2009, Advocate George Bizos, acting for the Hani family, argued that it was “cruel justice” that she had not been allowed to make representations in the hearing. “Mrs Hani is a victim. The loss of her husband [due to Derby-Lewis’ actions] has made her a victim. By participating, there is some comfort to the victim,” Bizos said. “What do you know about this applicant ?… Does he accept the Constitution? … Does he no longer consider people like Chris Hani as the Antichrist?” he asked the court. Then, Derby-Lewis made no attempt then to seek forgiveness from Limpho and her family. SACP spokesman Malesela Maleka says they will continue to oppose all Derby-Lewis’ attempts for early release and do not believe he is genuine about reconciling with the victims. He says if Derby-Lewis wanted to ease his conscience, he should approach the National Prosecuting Authority, which is dealing with the unfinished business of the TRC, and expose who else was involved in the plot to assassinate Hani. The SACP has previously called for a new inquiry into the Hani assassination, as they believe there are still too many loose ends about the murder, including who stole the murder weapon from police evidence. Former president Thabo Mbeki did not accede to the SACP request, earning the ire of many in the party who accused him of not wanting to expose the truth. In 2006, before becoming the ANC leader, President Jacob Zuma visited Derby-Lewis in prison, a move which sparked controversy in government and the alliance. Speculation was rife at the time that Derby-Lewis had asked Zuma to intervene on his behalf to secure a presidential pardon. Though the exact purpose of the meeting was unclear, Derby-Lewis asked Zuma to convey a request to the SACP that he would like to meet them. The party refused to do so. Zuma’s spokesman, Mac Maharaj, who could also have been a victim of Derby Lewis, said the president’s meeting with Hani’s killer would not make any difference to parole processes. “The issue is a separate one. Applications are made to the parole board… The president cannot just jump over processes. Whether he visited him does not matter,” Maharaj said. Even if some people in the ANC leadership might consider that 20 years is long enough punishment for Derby-Lewis, they would not dare raise it, as it is such an emotive issue. Some say privately that it could display that the ANC were still committed to the reconciliation project if they entered into dialogue with Derby-Lewis and set him free. But others argue that there is still too much pain around the issue and that Derby-Lewis is an opportunist who is not genuinely remorseful. Derby-Lewis’s infamous statements while he was an MP also betray that he is a rabid racist who is unlikely to have had a change of heart now. In 1989 he said in Parliament: “If AIDS stops Black population growth it will be like Father Christmas”. He was also overheard remarking “What a pity” in response to a report by a minister that an aircraft had had to brake to avoid a black man on the runway at Johannesburg’s airport. The SACP takes particular offence to suggestions that if Mandela still could speak up, he would have motivated for Derby-Lewis’ release. Maleka says Mandela’s own words at Hani’s funeral show that this was an exceptional case and that forgiveness would not be easy. “By killing Chris Hani, the murderers made a fatal error, for he will not become just another statistic. The regime has announced the arrest of a leading member of the Conservative Party, Clive Derby Lewis, in connection with this murder. We insist he be brought before the courts without delay. We demand to know what he did, who he worked with, and above all we demand justice. We do not want to see a situation where those arrested for such heinous crimes simply go free once the hue and cry dies down, as has happened in the past,” Mandela said in his funeral oration.